Yass girl, we're lovin' this oh-so-extra bodycon dress. 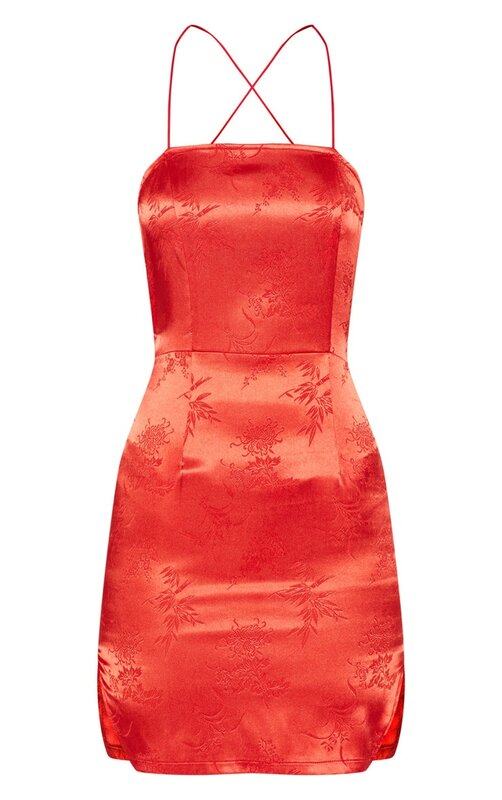 It features a red satin oriental print and a lace up back. We love this paired with red strap heels for a look you can wear with confidence.